I am so excited to be heading back to Reading (UK) next month for the reunion exhibition – Reading: A Start & A Return Excited to have the time to see old friends, make new ones, to talk photography and to explore Reading photographically again. 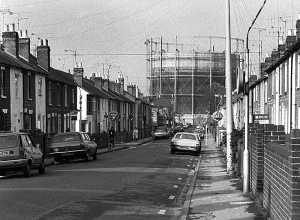 For this fortnight’s photo I am posting an old image from 1980s Reading. 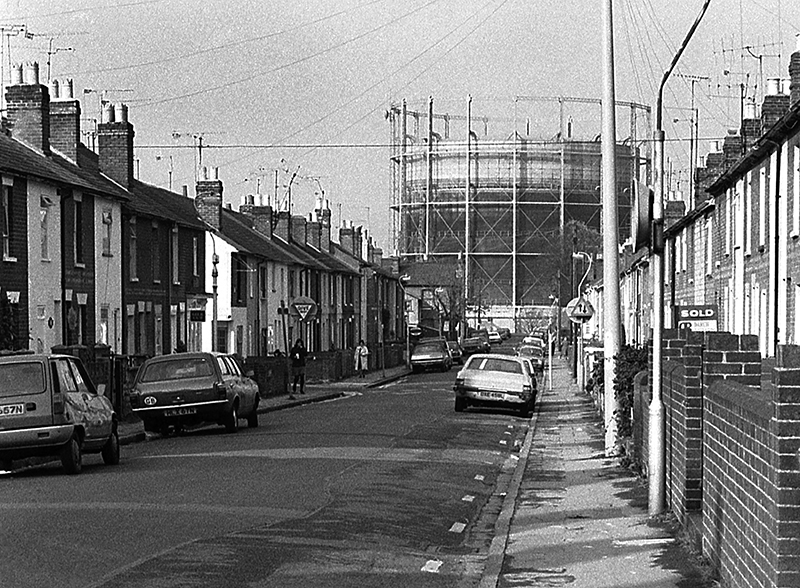 I saw this ARTICLE about the gas holders I photographed there and it made me wonder whether the one in my photo is there now or will be next month. They always say you can never go back, but when you have a link with people or place it’s like you just stepped away and when you return you’re back to where you belong. Places change physically, people move away or lose touch, but there’s still enough to make you feel like you’re home. Even after 30 years.